How do I Clean My Refrigerator? Your refrigerator does a lot of work. It also doesn’t get a lot of cleaning attention if you’re like most people. When the time comes and you just can’t stand it anymore, you know you’ve got to clean your refrigerator. In this article, we’ll teach you how to clean your refrigerator. The first step to cleaning your refrigerator is to take out all the food. Having an empty fridge makes the process of cleaning it so much easier. It also prevents possible contamination of your food from cleaning products. Throw out any aged, old or moldy food. Anything that is inedible should be tossed in the garbage can. You can also use this time to throw out any food items that you don’t use. 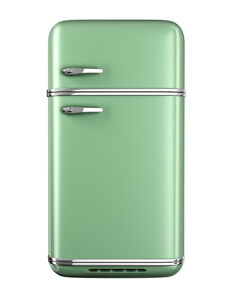 If you haven’t used it since the last time you cleaned your refrigerator, then it’s safe to assume you don’t need it. Take out all the shelves, drawers and other removable surface items from the refrigerator. Place it in the kitchen sink and fill it up with cool water and dish-washing soap so those items can start to soak while you tackle the inside of your fridge. Wipe all surface areas including the doors with commercial wipes or with dish-washing soap, water and a good sponge. You don’t want little particles to break off and get set in the refrigerator. If you find stubborn stains, you can use a small amount of baking soda and water to produce a thick paste. Apply the paste to the stain and leave on for an hour before you wipe with a damp sponge or strong cloth. The baking soda is supposed to loosen the stain thereby making it easy to wipe away. Now, you should wash the shelves and other items that you took out of the fridge. It won’t fit in your dishwasher so just get ready to clean it by hand. Lather up a sponge with some dishwasher soap and use cool, not hot water to clean these items. Hot water can cause cold glass shelves to break due to the temperature change. Clean by hand. Be careful of stains. You can remove these the same way you did those inside the fridge. Make sure you let everything dry out completely or dry it by hand before you put it back into the refrigerator. Once you put the shelves and other items back in the refrigerator, you can begin to put the food back in. Then, your clean refrigerator is ready to be used again. 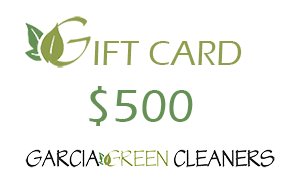 Of course, if you’d prefer not to clean your refrigerator, Garcia Green Cleaners can add on this cleaning to one of our service appointments. Just call 512-705-2812 in Austin to set it up.